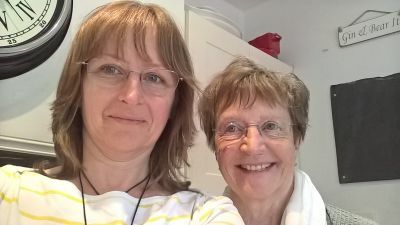 Patient Action Group member, Sue Jardine's most recent adventure is a wonderful example of how much you can do after receiving valve treatment. While helping her daughter move house recently, Sue not only surprised her daughter and husband at how much energy she had, but she also surprised herself! My daughter had a big move to a new house recently and asked if my husband and I would help her out as best as we could. I would do anything for my children so I was more than happy to lend a hand with her move. I didn’t know if I would be able to keep up with all of the lifting and trudging back and forth from the van to the house, but not only did I keep up, I outlasted my husband and encouraged my daughter to keep going! I even surprised myself, as I never thought I would be able to do things like this before my valve surgery. I am so happy that I can still help my children when they need it and this experience has been so rewarding and I am extremely grateful and lucky to be able to do it. Read Sue's heart valve story here.